"Doll Parts is an entire band dedicated to the music of Tennessee’s Iron Butterfly. 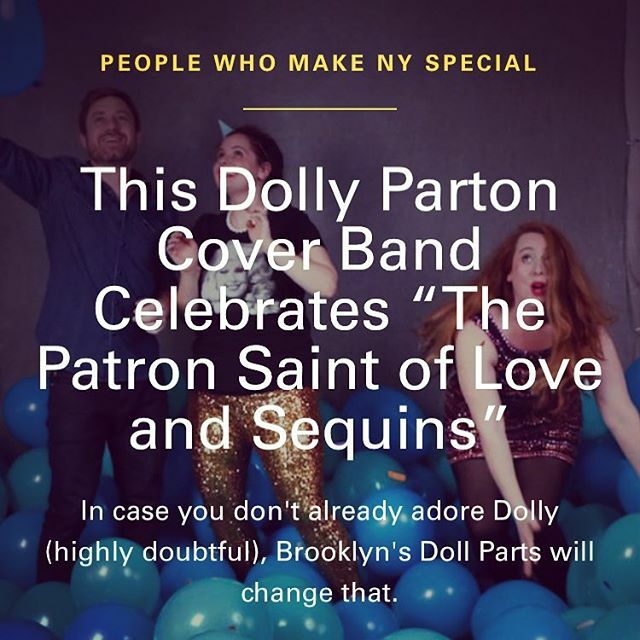 Though billed as “Brooklyn’s Premier Dolly Parton cover band,” Doll Parts is not some hipster-ish exercise in irony, but an earthy and talented quartet of true artists. Rather than simply singing songs karaoke-style, they pay full homage to the country and bluegrass roots of Parton hits like “I Feel the Blues Moving In,” “Jolene” and “Please Don’t Stop Loving Me.” Perfect for Parton purists and newbies to her Smokey Mountain sound, Doll Parts captures the spirit of a true musical genius in inventive ways, incorporating sophisticated harmonies and haunting instrumentals.